This is a small piece with a very big presence. 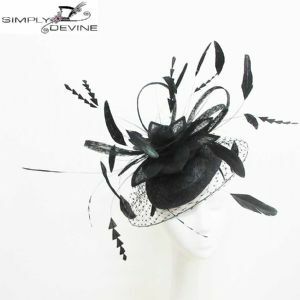 The pill-box style sinemay base fits snugly on the head, and is adorned with a beautiful sinemay lily and loops, trimmed with veiling and stunning black feathers which have a green sheen. 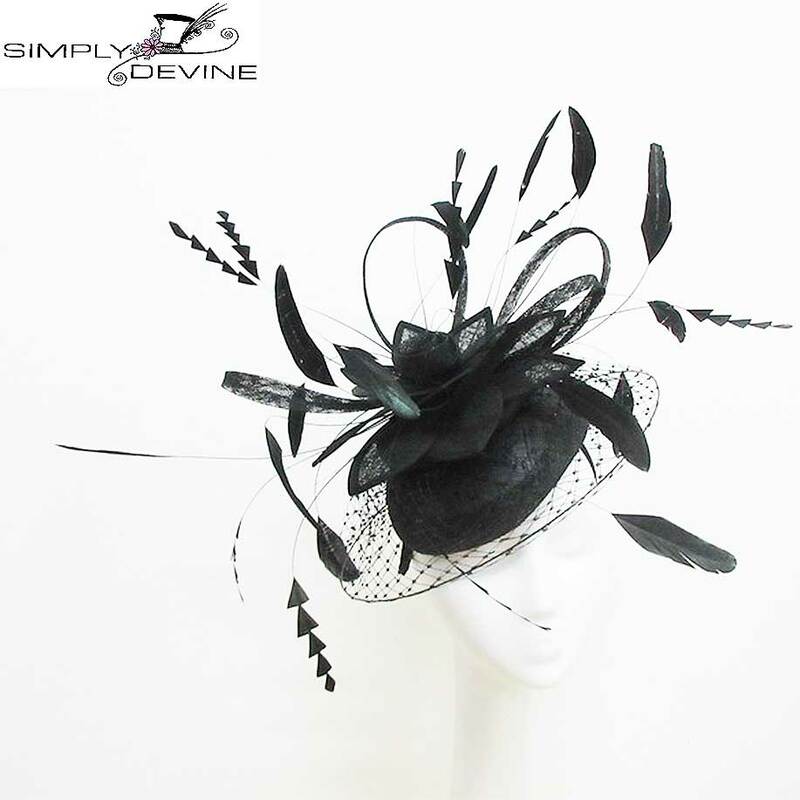 It is a fabulous race-day women's fascinator which is not bulky and sits on a very comfortable satin band for all day wear.